Selfless service lives in the hearts of Aggies everywhere and that is never more apparent than when they give their lives in service to our nation. 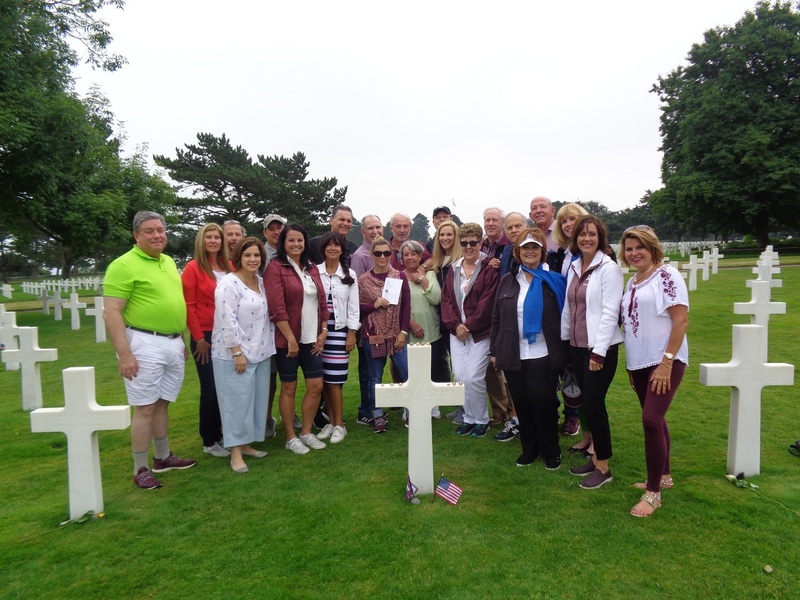 This month, Marti and I, along with a group of Aggies, had the distinct honor of placing U.S. and Texas A&M flags upon the graves of 15 Aggies buried at the Normandy American Cemetery in Colleville-sur-Mer, France, as well as flags for three Aggies listed on the Wall of the Missing, which has the names of 1,554 others. 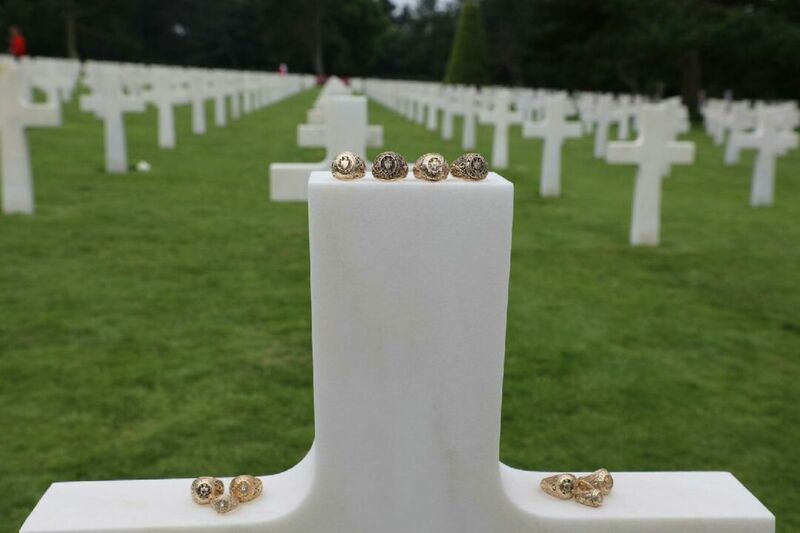 The cemetery is the final resting place for 9,387 Americans. It was my first trip to that cemetery and it truly was a life-changing experience. While at the site, I thought about how much we owe all those who serve including these 18 young Aggies. And they were young men, most the same ages of students in our classrooms every day. But when the call came, they answered. I know today it would be no different; Aggie servicemen and women would lay down their lives to protect and defend this country, and to serve in countless other ways. As we walked throughout that pristine and hallowed cemetery, I reflected on my own parents and their service during WWII. My father, Vance Young, was an Army soldier who fought in the Battle of the Bulge. My mother, Ethelyn Sowards, trained at Avenger Field in Sweetwater, Texas to serve as a Women’s Airforce Service Pilot (WASP). She flew out of Love Field in Dallas and I think of her whenever I am there. My parents survived the war and have since passed. 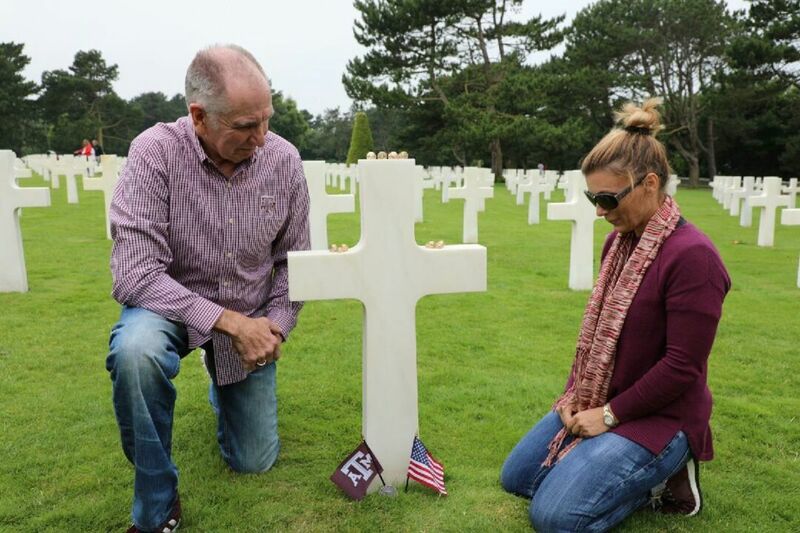 I am so proud of their devotion to our country, just as I am proud of Aggies past and present. Our Corps of Cadets, the “Keepers of the Spirit,” are nearly 2,500 strong; we have over 1,000 current student veterans; and Aggie students across campus selflessly serve in myriad ways through service projects, charitable endeavors and much more. 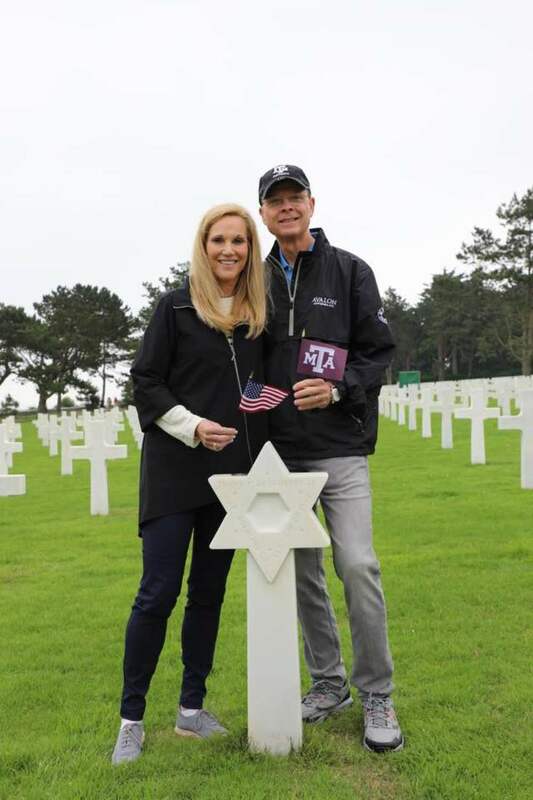 I firmly believe those soldiers whose graves we visited would be pleased to see that Aggies’ commitment to selfless service has endured, and will no doubt continue in perpetuity.